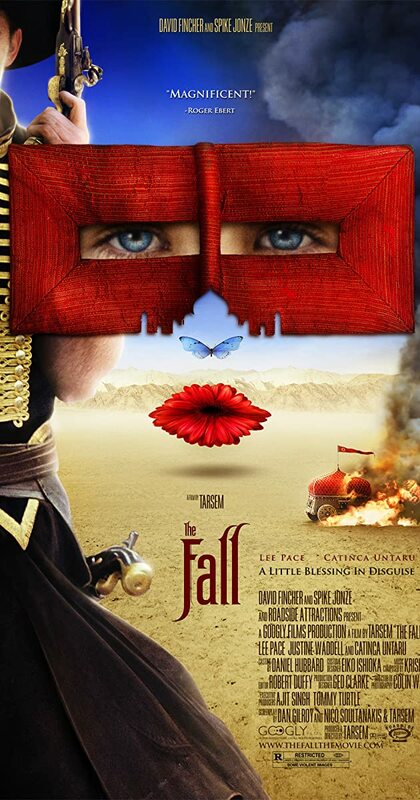 Directed by Tarsem Singh. With Lee Pace, Catinca Untaru, Justine Waddell, Kim Uylenbroek. In a hospital on the outskirts of 1920s Los Angeles, an injured stuntman begins to tell a fellow patient, a little girl with a broken arm, a fantastic story of five mythical heroes. Thanks to his fractured state of mind and her vivid imagination, the line between fiction and reality blurs as the tale advances.